I’m the founder of Learning Skills, and Adjacktive. 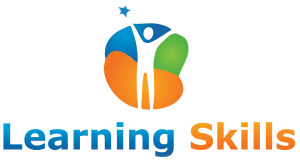 Learning Skills is an educational institute, where we offer +20 courses in a variety of verticals. Now, we’re moving into ed-tech industry. In 2013, I started Learning Skills on a bootstrapped budget. At Learning Skills, I’m handling a great team of both professionals and academicians. Today, we’re moving out of our Startup phase into growth stage. Adjacktive is the digital marketing company based in Delhi, which has served more than +50 businesses in a wide variety of verticals. We’ve enabled many companies to rocket boost their sales, and lead generation online. 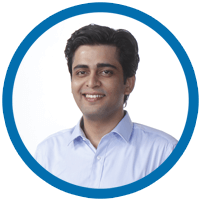 I’ve founded Adjacktive in 2016 after leaving e-Value Digital LLP. Though I’m handling a small team at Adjacktive. Nevertheless, all our teammates are highly proficient and extremely capable in their verticals. At present, we’re expanding and growing at an exponential speed. It is my free will that pushed me on an entrepreneurial journey. A journey, which has allowed me to create, experiment and innovate at each step. In 2009, I started out as a freelance content writer but gradually I shifted to digital marketing consultancy. My journey as a consultant has allowed me to not only earn but learn and acquire practical digital marketing knowledge. Nevertheless, I’ve never undermined theoretical and bookish knowledge, and still, it is the major contributor to my career growth. Personally, I’ve helped more than 100 companies and startups in almost all industries online. However, largely I’ve worked in education, e-commerce, and real estate in India. Learning, researching, mentoring, and training is intrinsic part of my life. It is out of love, not by any compulsion that I’m into digital marketing training. I love to connect and learn from people, who’ve ideas. Moreover, I love sharing knowledge that directly expand and enhance my life’s learning sphere. As a trainer, I’ve had conducted digital marketing sessions at Delhi University, TimesPro, IP University, IMS Ghaziabad, Digigyan, and Learning Skills. I’m also a visiting faculty at NIESBUD Noida (Central Government Body). I’ve also conducted corporate digital marketing training sessions as well for my clients. I’m striving to help Students, Startups, and SMBs in India to learn and use digital marketing effectively. My dreams are huge, and I want everyone to be part of it. If you want to join in, then the first thing you can do is join my personal newsletter, and follow me on social media. Started out with Blog website where I used to write on scholarships, studentships, bursaries and all types of grants. Here, I learned and gained knowledge in advertising, marketing, and content. A short stint as a senior content writer at an IT company. Thereafter, started working as a digital marketing freelancer. © 2019 Kanishk Matta. All Rights Reserved.